This luxury quality incense has a very rich aroma of Sandalwood. The incense sticks are slim, and emit low smoke while they burn for a long time. 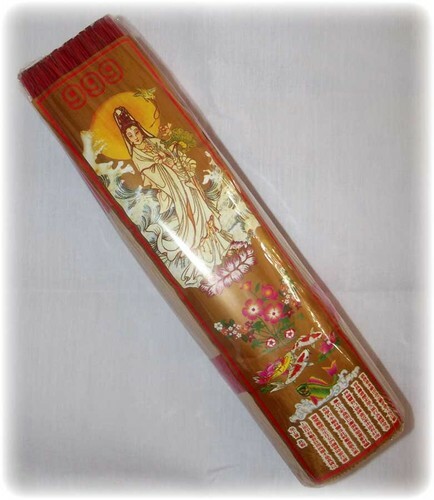 This makes this type of incense ideal for praying to the Buddha, the Kwan Yin bodhisattva, and other Buddhist deities. Each pack of Kwan Yin Sandalwood incense contains 500 sticks , with a total weight of approximately 800 grams per pack. The incense is slow burning, taking about 30 minutes to burn out. The incense sticks are 13 inches long. 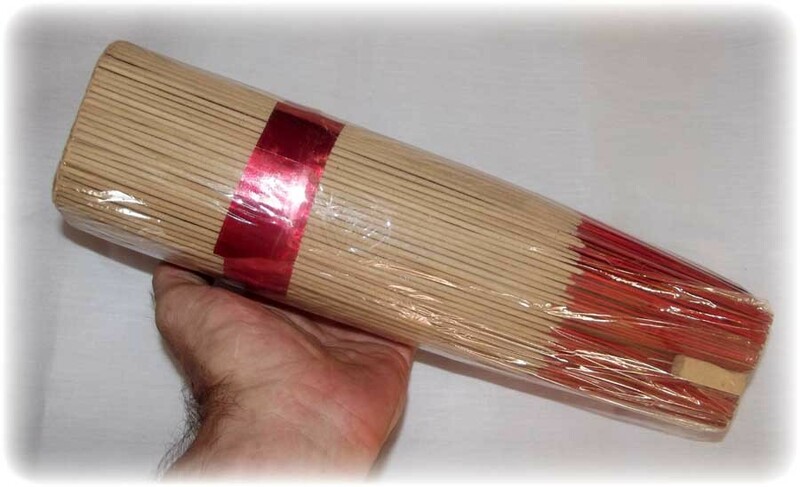 These Incense sticks exude the most exquisite aroma of a distinguished quality that is separable from lower quality grades of incense, which are often either too strong from chemicals, or burn too fast, or go out, and even lacking in lasting aroma. The aroma of these incense sticks remains for quite a long time after use, and is very pervading, although subtle. Hence, preparing ritual offerings accompanied by the fragrant aroma of the burning Kwan Yin Sandalwood incense, is believed to bring delight to the celestial beings who reside in the higher planes of existence. Due to the long lasting smoke and aroma, these incense sticks are also fitting for meditation sessions of an hour or more. Moreover, these sticks last throughout a whole evening prayer session, thereby making them very fitting for long prayer chanting sessions, too. Furthermore, when burning the Kwan Yin Sandalwood incense in one’s place of business, then this will help to attract customers and clients.